Atom Egoyan is a critically acclaimed filmmaker. He was born in Cairo, Egypt, in 1960, and he is an Officer of the Order of Canada. Egoyan has directed twelve feature films, as well as some short films and television episodes. 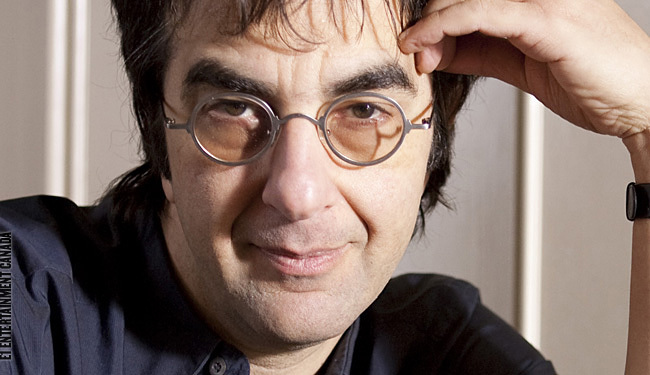 His early work was based on his own material, and he received some notice for the film Exotica (1994), but it was Atom Egoyan's first attempt at adapted material that resulted in his best-known work, The Sweet Hereafter (1997), which landed him an Academy Award nomination for Best Director. Egoyan has directed several operas, including Salome, Così fan tutte, and the Ring Cycle, all at the Canadian Opera Company. He also directed the film Sarabande, starring Lori Singer and Khanjian, a drama which flanks cellist Yo-Yo Ma's performance of Bach's Fourth Suite for Unaccompanied Cello, as part of the latter's Inspired by Bach series for Sony Classical. The film Ararat (2002) generated much publicity for Atom Egoyan. After Henri Verneuil's French-language film Mayrig (1991), it was the first major motion picture to deal directly with the Armenian Genocide. Ararat later won the Best Picture prize at the Genie Awards. Atom Egoyan has won the Cannes Film Festival four times and is widely considered the most famous Armenian filmmaker since Sergei Parajanov. The Egyptian-born, Canadian-raised, Oscar-nominated master of indie cinema has also won four awards from the prestigious Toronto International Film Festival. His most recent film Chloe (2009) is a remake based off Anne Fontaine's French filmNathalie…. Chloe stars Julianne Moore, Liam Neeson and Amanda Seyfried. The film is a psychological drama about jealousy and sexuality. The film deals with a complicated triangle love affair and clearly grapples with questions of the power of feminine sexuality. Sexuality is a theme common to Egoyan's work such asExotica (1994) and Where the Truth Lies (1995). Chloe is a departure in many ways from Egoyan's earlier works, this film is more mainstream and draws more star power. It is also the first of his features for which he has not written the screenplay. His feature films include: Next of Kin (1984), Family Viewing (1987), Speaking Parts (1989), The Adjuster (1991), Calendar (1993), Exotica (1994), The Sweet Hereafter (1997), Felicia's Journey (1999), Ararat (2002), Where the Truth Lies(2005), Adoration (2008), Seven Wonders (2008) and Chloe (2009).